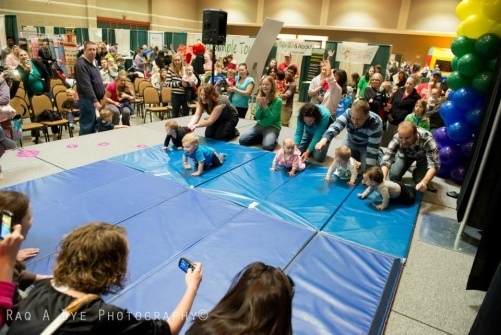 Sign up your crawler for the Diaper Derby! Your child must be between 9 mos-14 mos old. They must crawl across the stage, no walking! The winner will receive awesome prizes from buy buy Baby! Meet at the Baby Kid Expo on Saturday, August 11th at the Greensfelder Recreation Center at Queeny Park in Ballwin. Check in at 10:00 am. Race starts at 10:30 am! Registration is Full. There is still a chance your child can be in the Derby, please arrive by 10am to check in and be put on the wait list. Thank you!